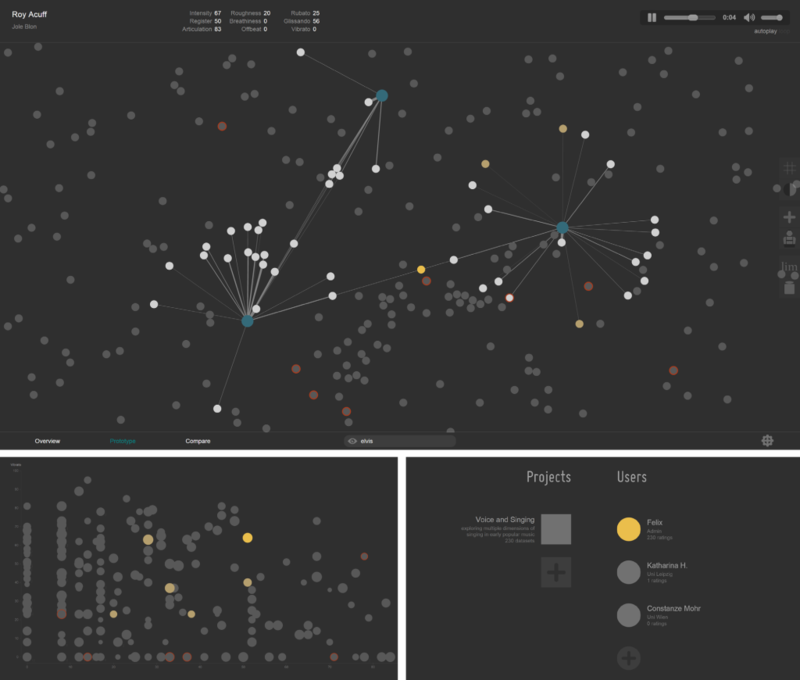 is a an interactive tool for the visualization and classification of multidimensional data. It uses geometric visualization techniques, introduces the Prototype Visualization as a new metaphor for representing similarities between data sets and offers rating tools to set subjective features/ attributes of a data set (e.g. musical characteristics depending on perception). I developed the software in cooperation with Axel Berndt (University of Technology Dresden) and the DFG research project Voice and Singing (The LISZT SCHOOL of Music Weimar). __ Schönfeld, F.; Berndt, A.; Hähnel, T.; Pfleiderer, M. & Groh, R. (2014). 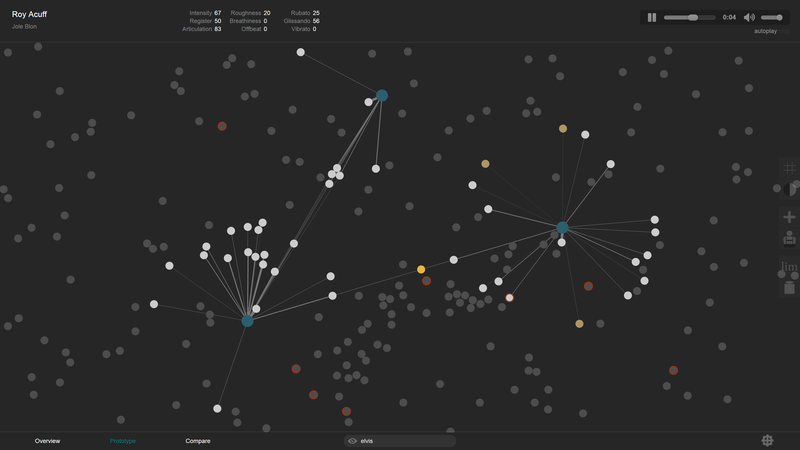 Vocalmetrics: An interactive software for visualization and classification of music. In: Audio Mostly 2014: 9th Conf.\ on Interaction with Sound—Imagining Sound and Music Aalborg, Denmark: ACM. __ Felix Schönfeld, Tilo Hähnel: Vocalmetrics: exploring multiple dimensions of singing in early popular music recordings, in: Proceedings of the Sempre MET 2014. Researching Music, Education, Technology: Critical Insights, hrsg. von Evangelos Himonides und Andrew King, London, 2014, S. 145–147.